After ages, I have tried working on a music based illustration. Trust me, I really find it draining. With music based illustrations, I pick up a song that fits my mood for that day. After this, I listen to it again and again until all my feelings are raw. This way, they jump out of my mind and heart and run towards the pen. And then, I stop thinking, close my eyes and let the pen sing. Though it sounds like three easy steps, being an amateur it takes me a long time to get this done. The first step seems a bit easy. I usually pick up the song that is a current favorite. It is easy that way because I normally listen to songs according to my mood. The next step is really draining. Opening my heart out to a song, letting all the boundaries fall and bringing down all the barriers is exhausting. The mind is not used to it. Being subjected to bars is what is the routine for it. Now when the flood gates open, it doesn't saunter out like a lion. Nor does it burst out like the water out of a dam. Instead, it squeaks like a scared squirrel and watches each step. By the time, I have heard the song for 7 times (in loop) the squirrel starts transforming into a lion. Confident and knowing. With each step, the mind opens up, the music seeps in and melody of lines start forming. 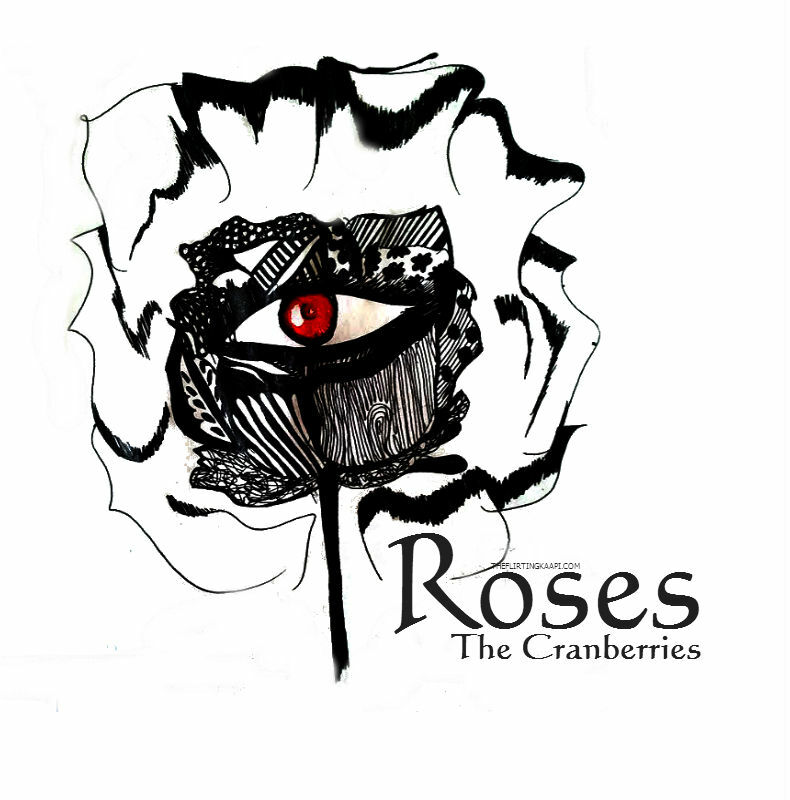 This time, Roses by The Cranberries helped me listen to my mind. Please listen to the song while you look at the illustration. I have poured in my emotions there. The illustration is incomplete without the song. They are not two parts anymore. They are one. And I want to share them with you. Bingo! you done it :) simply superb! dunno how did u do it but awesome illustration of the song! Thanks Yoong, I am still madly in love with roses.